You'll want to gobble up these popular Thanksgiving treats. Celebrate the best of fall with candies and truffles that use familiar ingredients like cranberries, sweet potatoes, and pumpkin. 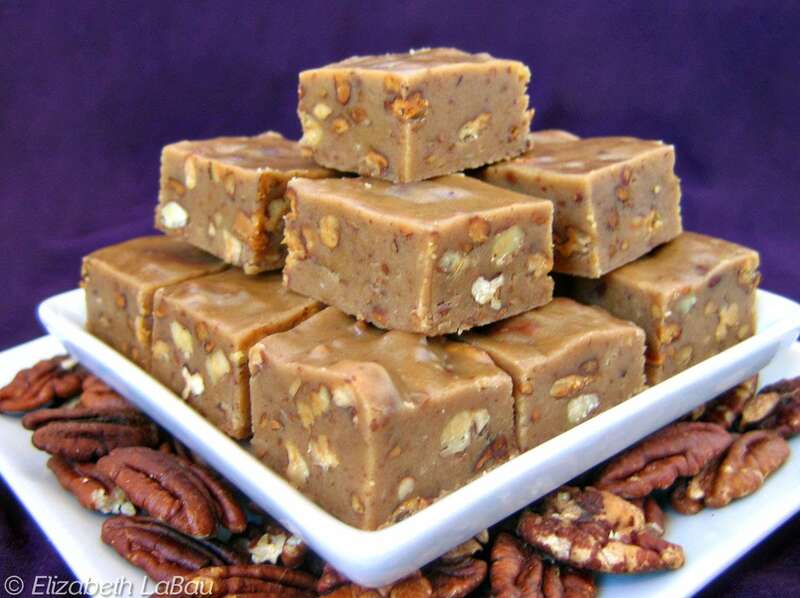 If you love the taste of pecan pie, you'll love this fudge! Toasted nuts bring a deep flavor to this delicious homemade candy. The taste of this fudge depends in large part on the pecans, so it is important that they are well-toasted to impart maximum flavor. These truffles are a sweet and creamy combination of maple fondant, bittersweet chocolate, and salty nuts. Want to take things up a notch? Form them into acorn shapes for an extra festive look. These fluffy marshmallows will have you seeing cranberries in a whole new way! The tart berries take on an entirely different flavor dimension when they're pureed and turned into light homemade 'mallows. Eat them plain or dip them in chocolate. 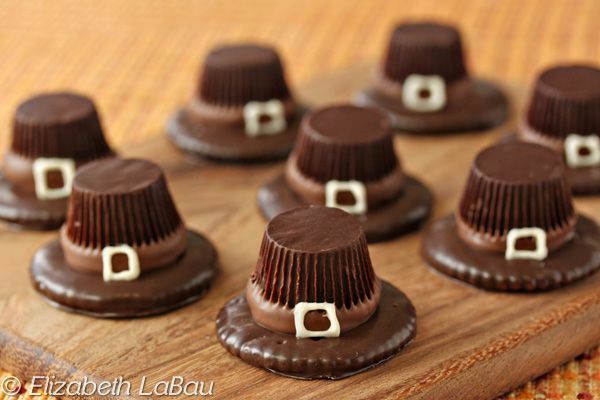 Pilgrim hats are an easy Thanksgiving candy recipe that kids can help put together. Butter crackers and peanut butter cups make delicious festive treat the whole family will enjoy. This white chocolate-based fudge is perfect for Thanksgiving or any fall celebration. Its aromatic combination of brown sugar, pecans, pumpkin, and warming spices smells like just pumpkin bread and tastes like heaven. These gorgeous pumpkin spice truffles take a little more decorating handiwork, but it is so worth it. They are impressive and tasty. These orange blocks of fudge are full of rich and creamy sweet potato and fragrant cinnamon. It's a great way to use up leftover sweet potatoes after Thanksgiving dinner.